What is pickleball, I hear you ask? Pickleball is a cross between badminton, tennis, and table tennis. It uses a paddle and a whiffle ball (a plastic ball with holes) and can be played both indoors and outdoors. It began in America and is currently one of the fastest growing sports in the country. About eight million people play it in communities across the States, and that number is expected to grow to more than 20 million in the coming years! The sport has also gained interest outside of the US. Today, there are groups in Amsterdam, Haarlem, Utrecht, Ede and Limburg, to name a few. Krishna Thakrar loved the sport so much that she wanted to start a club here in The Hague so she wouldn’t have to go to Amsterdam every week. Slowly, as the word spread, more and more people joined the club. 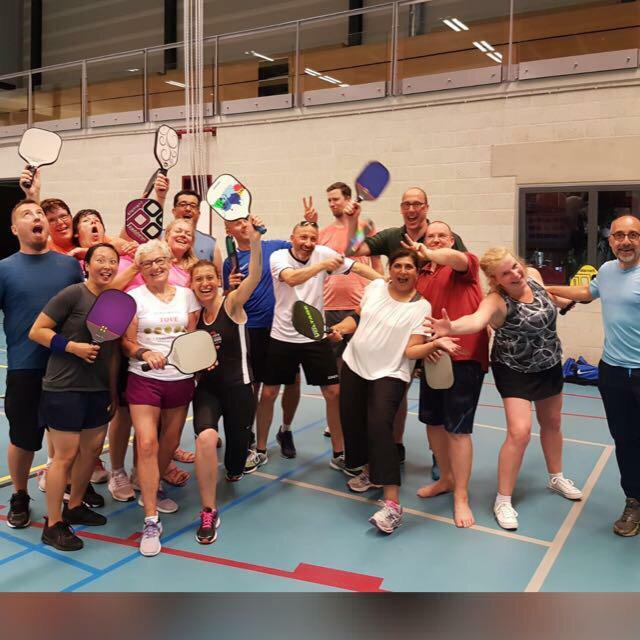 Now, with the efforts of a few passionate people who fell in love with the sport and want to keep it going, Pickleball The Hague is proud to be celebrating its third season. We have a devoted group of players at the club who are of different ages, nationalities, and sports backgrounds. Perhaps the most rewarding thing about pickleball (aside from it being a super fun sport) is that there is such a sense of community and friendship. It seems that once you pick up the sport, you become a part of the big pickleball family. With many international tournaments, clinics and workshops to help sharpen your technique, it is one gigantic network of friends and family. Meet the team at the Fair and have a go with the paddle and wiffle on Central Park or in the activity zone of the Community Centre. Pickleball The Hague is proud to be the club for this region of the Netherlands and everyone is welcome to join us! Costs : first time free & after that €6.50 for 2 hours of fun! Please note that timings change from April 20th.